Foreign Tourist Arrivals (FTAs) during the month of June 2016 were 5.50 lakh as compared to FTAs of 5.12 lakh during the month of June 2015, registering a growth of 7.3 per cent. FTAs during the period January-June 2016 were 41.86 lakh with a growth of 8.9 per cent as compared to the FTAs of 38.45 lakh with a growth of 3.7 per cent in January-June, 2015 over the same period in the previous year. The percentage share of FTAs in India among the top five source countries was highest from USA (22.20%), followed by Bangladesh (20.69%), UK (6.84%), Malaysia (3.90%) and Sri Lanka (3.20%). While Delhi Airport (24.69%) recorded the highest share in FTAs, Mumbai Airport (16.76%), Haridaspur Land check post (11.99%), Chennai Airport (10.90%) and Bengaluru Airport (7.74%) followed after. With Rs 10,732 crore, FEEs for June also saw an increase of 12.2 per cent over the same month in 2015. FEEs from tourism in rupee terms during January- June, 2016 were Rs 73,065 crore with a growth of 14.1 per cent as compared to the FEE of Rs 64,035 crore with a growth of 8.3 per cent during January- June, 2015 over January- June, 2014. The annual National Tourism Awards of the Ministry of Tourism, Government of India, will be held at the Vigyan Bhavan, New Delhi, on July 30, 2016. Hon’ble Speaker of the Lok Sabha, Sumitra Mahajan will be the Chief Guest and she will be giving away the awards for the year 2014-15. The National Tourism Awards are held annually to honour various segments of the travel, tourism and hospitality industry. These awards are presented to State Governments/Union Territories, hotels, heritage hotels, travel agents, tour operators and tourist transport operators, niche tourism facilities, individuals and other private organisations in recognition of their performance in their respective fields and also to encourage healthy competition with an aim to promote tourism. 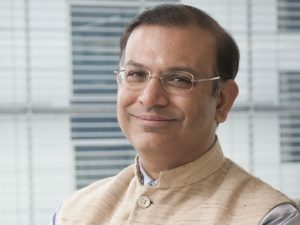 As part of the major reshuffle in the Union Cabinet, Jayant Sinha has been assigned the portfolio of Minister of State for Civil Aviation. 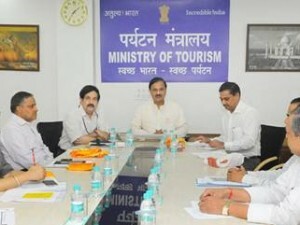 His predecessor, Dr. Mahesh Sharma, will now only hold Independent Charge as the Minister of Tourism & Culture. Sinha was the Minister of State for Finance before the reshuffle took place on July 5, 2016. 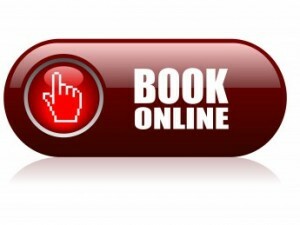 The Prime Minister, Narendra Modi, has shown his concern about how the increased number of complaints and grievances related to online booking are being redressed. The PM mentioned the same while chairing his thirteenth interaction through PRAGATI – the ICT-based, multi-modal platform for Pro-Active Governance and Timely Implementation. He asked the concerned officials about the large volume of complaints related to the e-commerce sector, such as booking of tickets and hotel reservations, and the steps being taken to decisively address such issues. The Prime Minister was informed about the steps being taken in this regard, including augmenting the capacity of the National Consumer Helpline. Calling for increased efficiency, and more effective redressal of consumer grievances, the Prime Minister asked the officials for a comprehensive review of the nature of issues, and work towards fixing responsibility and identifying solutions for them. He asked for an effective follow-up action within 10 days. In view of the exemption notification issued by the Central Government, no Krishi Kalyan Cess (KKC) has been applicable on service completed on or before May 31, 2016, and invoices for such service issued on or before May 31, 2016. KKC was introduced vide Section 161 of Financial Act, 2016 @ 0.5% on the value of all or any taxable services. 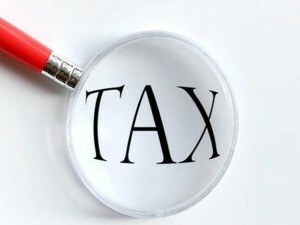 Central Government by way of a notification dated June 23 has exempted taxable services with respect to which the invoice for the service has been issued on or before May 31, 2016, from the whole of Krishi Kalyan Cess leviable thereon, subject to condition that the provision of service has been completed on or before the May 31. 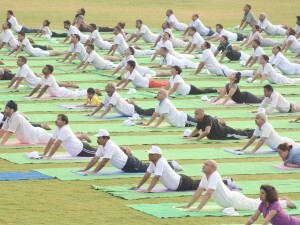 The Ministry of AYUSH is organising a two day International Conference in New Delhi titled ‘Yoga for Body and Beyond,’ from June 22-23 at Vigyan Bhawan as part of 2nd International Day of Yoga celebrations. 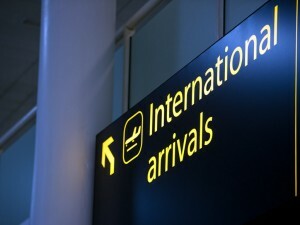 Nearly 70 international delegates from 32 countries are expected to participate in the conference. The countries include Iraq, Afghanistan, Algeria, Malaysia, Spain, Russia, Portugal, Australia, Belgium, China, Egypt, Iceland, Japan, Kuwait, Korea, Kenya, Slovenia, Uzbekistan and UAE. Anil Kumarsingh Gayan, Minister of Health and Quality of Life, Government of Mauritius, is expected to attend the conference. During the nine technical sessions of the Conference eminent Yoga Gurus, exponents and experts will extensively deliberate upon various themes such as ‘Yoga and Physical Wellbeing’, ‘Insights from Yoga Scholars’, ‘Integration of Yoga in Healthcare Delivery System’, ‘Yoga for Mental health’, ‘Yoga for Body and Beyond’. There will also be a panel discussion and an open ended session on experience sharing by foreign delegates. Hamid Ansari, Vice President, Government of India, will Inaugurate the conference. Sumitra Mahajan, Lok Sabha Speaker, will grace the Valedictory Session on June 23 while Shripad Yesso Naik Minister of State (Independent Charge) for AYUSH, will be the Guest of Honour for the conference. 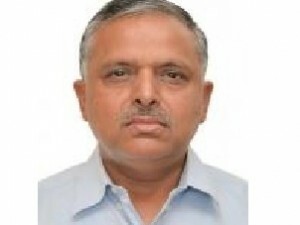 Udai Pratap Singh has joined the Ministry of Tourism as Additional Secretary. He succeeds Girish Shankar. The 1984-batch senior IAS officer of Jharkhand cadre was previously the Resident Commissioner of Jharkhand in NCR before which he was posted as Officer on Special Duty to Chief Minister, Jharkhand Bhavan, New Delhi. FTAs during the period January-May, 2016, were 36.36 lakh with a growth of 9.1% as compared to the FTAs of 33.32 lakh with a growth of 4.0% in January- May, 2015 over January- May, 2014. 3.7% growth has been recorded in Foreign Tourist Arrivals (FTAs) in May 2016 over the same period in 2015, according to data released by Ministry of Tourism. Bangladesh accounts for highest share of tourist arrivals followed by USA and UK in April 2016. Rs.10, 285 crores Foreign Exchange earned through tourism in May 2016. FTAs during the Month of May, 2016 were 5.29 lakh as compared to FTAs of 5.1 lakh during the month of May, 2015 and 4.65 lakh in May, 2014. Foreign Exchange Earnings (FEEs) during the month of May, 2016 were Rs.10,285 crore as compared to Rs.9,505 crore in May, 2015 and Rs. 7,936 crore in May, 2014. FEEs from tourism in rupee terms during January- May 2016 were Rs. 62,333 crore with a growth of 14.4% as compared to the FEE of Rs. 54,471 crore with a growth of 7.3% during January- May, 2015 over January- May, 2014.